Here's a great gift idea! 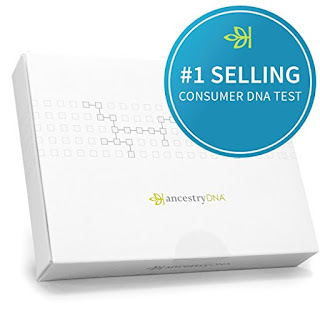 Head over to get this AncestryDNA: Genetic Testing - DNA Ancestry Test Kit for ONLY $54.99 (Retail $99)! -Uncover your ethnic mix across 165 regions worldwide, including 9 unique regions of Africa. -Ancestry has the world's largest consumer DNA network—over 6 million people and counting. -The only consumer DNA test with six million chances to find new relatives.